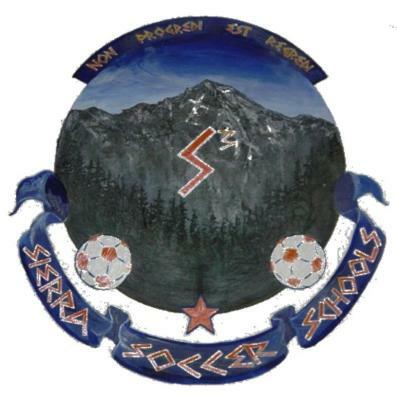 Sierra Soccer Schools soccer camp philosophy is to provide the campers with first class instruction that will allow the player to grow and improve in a positive and enjoyable atmosphere. Everything included in the Sierra Soccer Schools camp curriculum meets two important objectives: fun and progress. With this in mind, the program includes varied, imaginative exercises designed to lead to actual match conditions. We want our campers to improve, have fun, make friends and look upon their time playing soccer as a positive period in their lives. We accept players of all levels as we have the staff with the knowledge and ability to coach at all levels. In each camp session, players are grouped by age and soccer ability. Advanced players will be grouped to train together. Sierra Soccer Schools is dedicated to teaching both individual technical skills and team tactics. Dribbling, passing, control, heading, shooting, goalkeeping and a host of other vital topics will be learned and improved upon while team tactics are discussed, practiced and played in game-like situations, creative games and competitive contests.